Sizes vary, trophies pictured are the trophies you will receive. 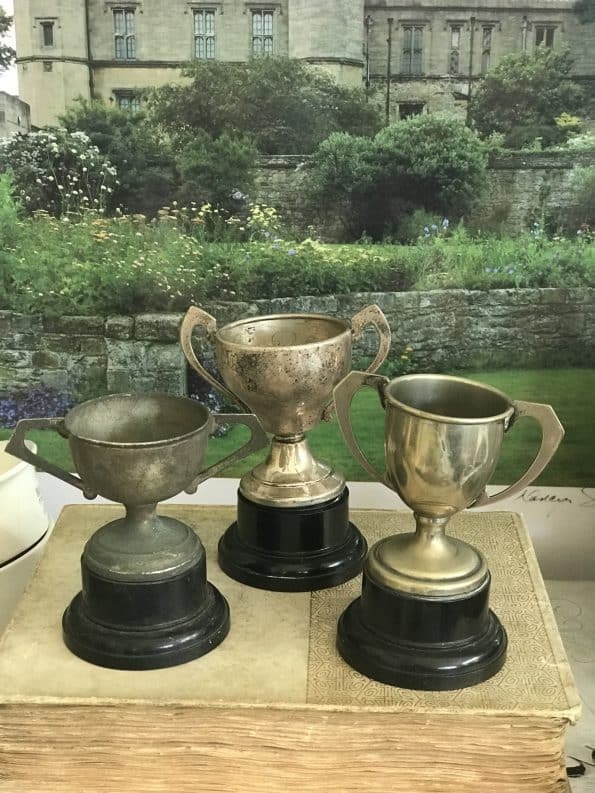 This is a listing for one (3) English Loving Cup Silver Plate Trophies with Bakelite Bases. Instant collection. Great tarnished patina. Start a collection today! Perfect to add a layer of vintage charm to your decor. As found at a fabulous Antique Flea Market in London while visiting my daughter and her family. 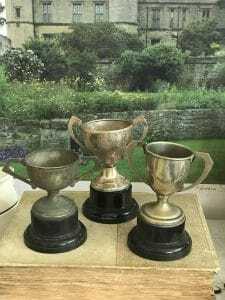 English Loving Cup Silver Plate Trophy – 1957 – Chestter M.C. Martini Rally – K. H. James. Antique English Advertising Pot w/Lid Fortnum & Mason – POTTED GAME – Piccadilly.. W.